Build Loop - The build loop is designed to run as a background process, which periodically checks the defined repository for changes in codebase, builds it and give the status as the final output. Reporting – Cruise Control provides a reporting application to browse the results of the builds along with this it also provides a dashboard for visual representations of the status. As mentioned in by last post Cruise Control works with many source control systems (Some of the better know are TFS, SVN, and VSS etc…). Input for the build process is any parseable format so it can be integrated with any build tool (MSBuild, Nant, Maven etc…) which produces parseable format. In addition to that this is widely used because of its extensive documentation and also provides with the option of Mailing list. 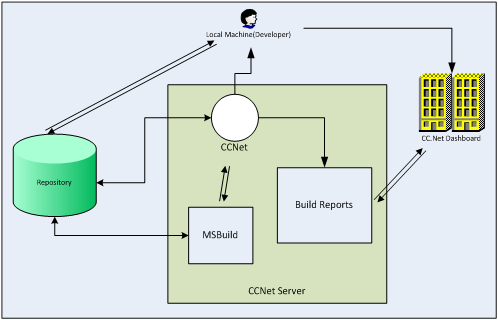 It is a standalone application which enables the developers or any other team member to check the status of the builds on their local machines which can access the CC.Net Server. Once we are done with the configurations we need to start the CruiseControl.Net Server. 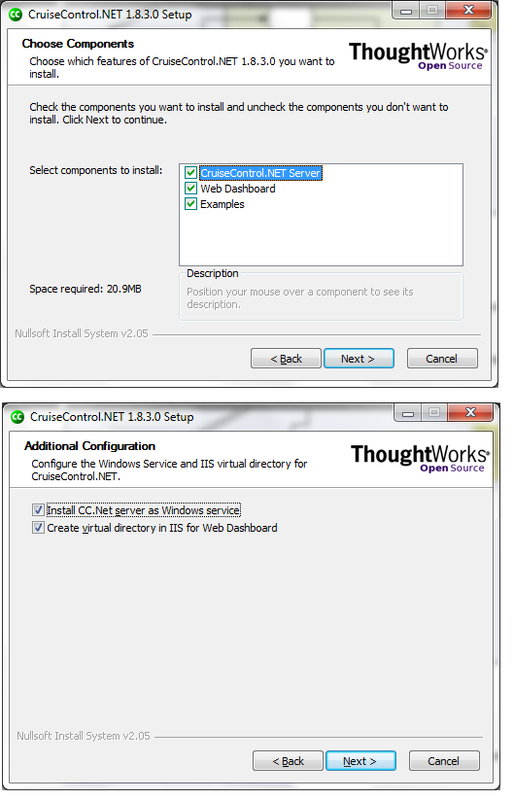 For starting the server open Services.msc -> CruiseControl.Net Server. Start this service. As soon as you are done with that you are ready with your entire configuration to produce automated builds. Access the URL: http://localhost:8080/ViewFarmReport.aspx and you will see a Project which you configured on this dashboard. From here you can force build and can also check the status of various builds along with the exception details or the error details if any. 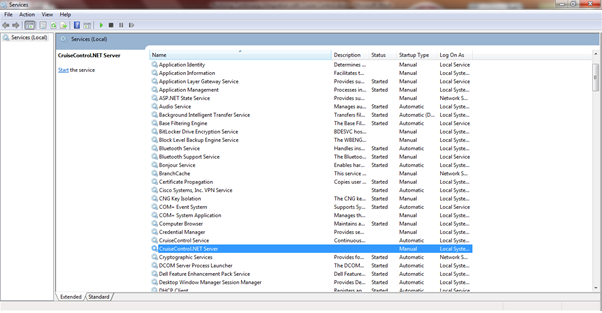 As I mentioned earlier you can also download CCTray from this page by clicking on the link “Download CCTray”. It will help one to see when the error occurred and by looking into it one gets immediately notified for the error in the check-in and can resolve it on the fly.